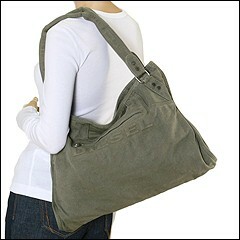 Take this bag everywhere and the compliments will 'Keaton' coming. 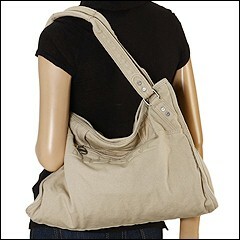 Satchel style shoulder bag made of canvas. 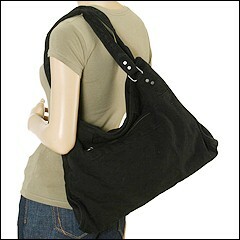 Holds your wallet, sunglasses, personal technology and a copy of your favorite fashion magazine. Dimensions: 17 1/2 wide across bottom x 5 1/2 deep x 11 high. ; Dual handles. Handle drop: 6 1/2 in length. Front exterior zip pocket. 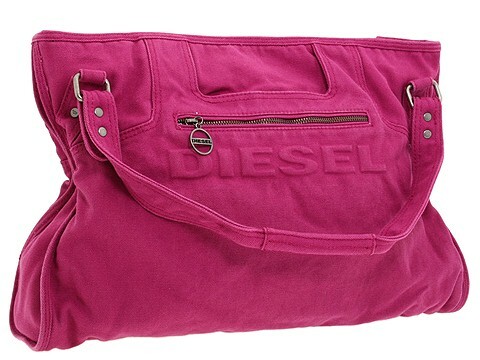 Embossed Diesel logo on front and on zipper pull. Logoed rivets. Top zip closure. Interior lining with a back wall zip pocket.